Desktop publishing is the creation of digital files using page layout and image editing software, primarily for print publications. However, desktop publishing involves more than just using the right software. If you are interested in this field, expect to see some overlap between print and online publications. There are several ways to acquire the necessary skills to work in DTP. A large number of online and brick-and-mortar colleges offer degrees in desktop publishing. Graphic design is a closely related skill set that is also taught at online, community and four-year colleges. Look for these majors, as well as classes in electronic publishing, typography, logo design, and—if you plan to do much online work—web design and production. It is likely any of these degree paths will expose you to the professional-level software programs that you'll need to work in this field. Mastery of the necessary software is a basic and necessary step. If the opportunity presents itself, accept an internship with a publishing company for hands-on experience. To work in print publishing, you'll need expert skills in Adobe InDesign page layout software, Adobe Photoshop image editing software, and Adobe Illustrator vector illustration software. These three programs are used by most print facilities. Other similar programs—such as QuarkXPress, Corel Draw and Microsoft Publisher—are also used, and it can be helpful to become familiar with them if the opportunity arises. Desktop publishers in the world of print usually don't code websites. However, they may be asked to design a logo that can be used on the web or to supply files that are web-compatible. Even if you do very little web work, a basic knowledge of HTML and electronic publishing is useful. 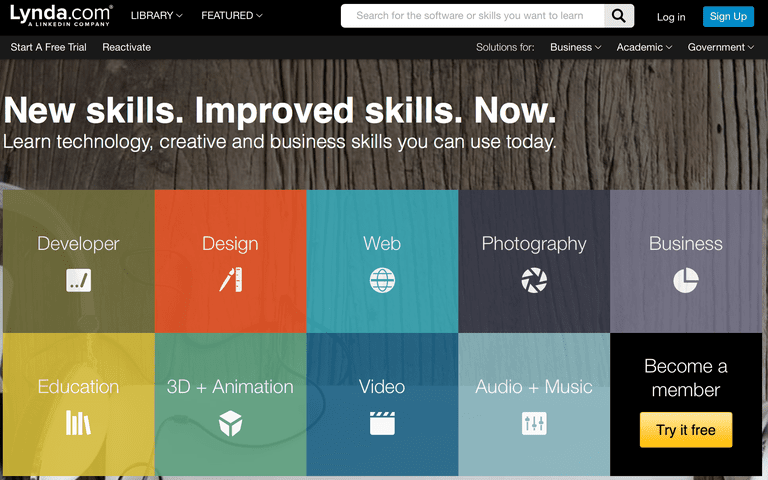 Lynda.com is an established commercial training company that offers an enormous selection of tutorials on all sorts of design, software and web topics. They aren't free, but the company offers a 30-day free trial to newcomers. Media Bistro offers training for media professionals on a range of topics. The prices vary, but some of the classes are reasonably priced. InDesign Tutorials: Adobe offers free online tutorials for new users and for experienced users of its page layout software. Learn the basics or polish your skills with these short instructional videos. Photoshop Tutorials: The Photoshop vast instructional video library is rated for beginners and experienced operators alike. Illustrator Tutorials: Learn how to design a logo or a web icon with Illustrator's free online tutorials. Microsoft Virtual Academy hosts "HTML5 and CSS3 Fundamentals: Development for Absolute Beginners" and other videos. Graphic design: You don't need a degree in graphic design to do desktop publishing, but an understanding of the graphic design basics, including the elements and principles of graphic design, will help you do better work as a visual communicator. Page layout: A good page layout communicates to the reader. It uses graphics and type to attract the eye and deliver a message. 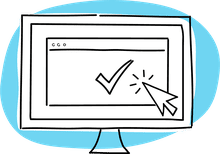 Understanding the basics of page layout—what works and what doesn't—can be better understood by looking at print publications and how they use headlines, graphics, images, and color to attract attention and keep the reader's attention. Typography: A basic understanding of typography is essential to a good DTP design. Learn which typefaces are suitable for print, both text, and headlines, and which ones aren't. Image manipulation: Desktop publishers are frequently asked to edit or otherwise manipulate photo images. This is where your Photoshop and Illustrator classes or tutorials come in handy. You need to understand and know when to use vector art and when to use bitmap images. This field is part creative and part technical. You'll spend only part of your time in each world but you need solid skills in each. Where Can I Learn to Use the Free Scribus Desktop Publishing Software?